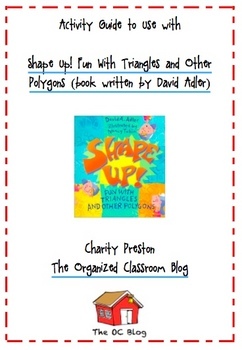 This 19-page activity packet is meant to accompany the book Shape Up! Fun With Triangles and Other Polygons! 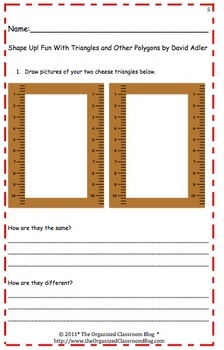 It includes blackline masters to match the various food and hands-on activities that are within the reading. 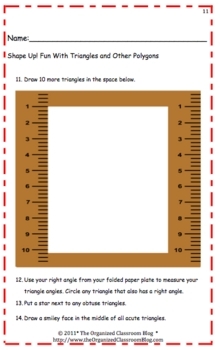 Students will love this book and increase their learning of polygons at the same time! 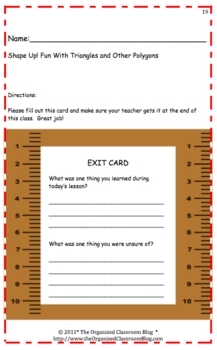 This file also includes an Exit Card at the end to assess what was learned/not learned during the lesson. Have fun!